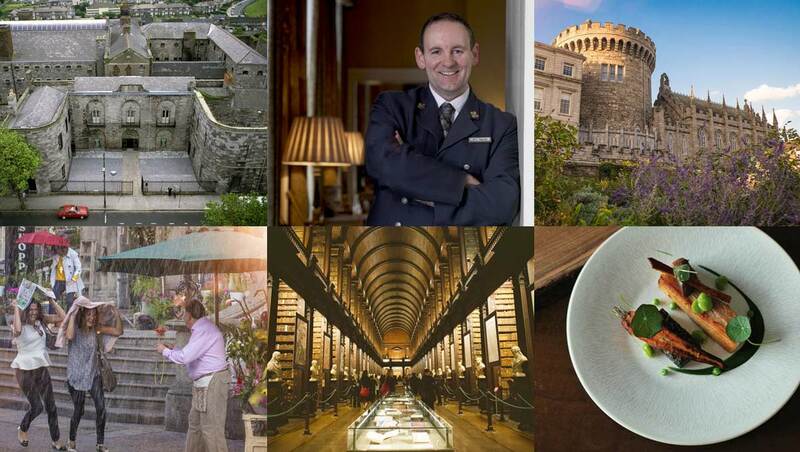 Concierge of Dublin’s prestigious Merrion Hotel, Sean Lally, gives us his 10-point guide to Dublin, from tranquil green spaces to traditional pubs. The National Gallery of Ireland: see works by Caravaggio, Turner and Jack B Yeats in this beautiful gallery. Farmleigh House: the official Irish State guest house, with tours, cultural programmes and farmers’ markets in the grounds. The Little Museum of Dublin: enjoy a quirky tour of Dublin eccentricities in this delightful museum. Christ Church Cathedral: here for over 1,000 years, this cathedral features a large 12th century crypt. 1. What local restaurant would you suggest to get a really good introduction to Irish food? The Pig’s Ear on Nassau Street offers wonderful traditional cuisine with a contemporary twist. The Cellar Bar in The Merrion is also a great spot for some Irish cuisine. 2. Is there any etiquette around dining, tipping, and service that I should definitely know before eating out in Dublin? Restaurants in Dublin are thriving at the moment, with great new bars and restaurants opening all the time. I would always recommend making a reservation early to avoid disappointment. People ask about tipping in restaurants and I always say there are no hard and fast rules about tipping in restaurants in Ireland. Generally speaking, if you were very happy with your experience 10 - 15% is considered to be an international guideline. There are countless things to see and do for people – the ones I recommend as must-sees are The Book of Kells in Trinity College, Kilmainham Gaol and the National Museum of Ireland on Kildare Street – here you'll find fascinating archaeology displayed over seven galleries. St Stephen’s Green and Merrion Square are both beautiful green spots in Dublin. The Helen Dillon Garden [in Ranelagh] is also a peaceful haven away from the commotion of the city. Dubh Linn Gardens: in front of the Chester Beatty Library, these quiet gardens have a charming Celtic style. Iveagh Gardens: just off Harcourt Street, this is a favourite local picnic spot. Phoenix Park: Dublin's huge urban park has a herd of fallow deer and is 350 years old. 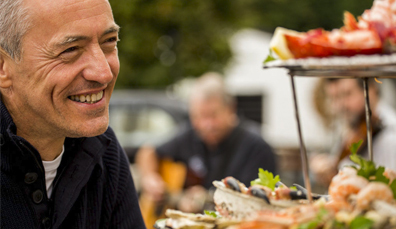 Dublin City Bike Tours offers private tours of Dublin by bicycle – you can even take a picnic to enjoy during the day. If a walking tour is your preference, Georgian walking tours are a favourite of our guests. 6. 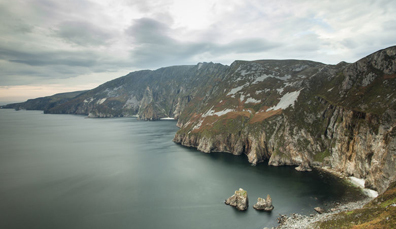 What are Dublin's hidden treasures, places the tourists don't normally see? The Glasnevin Cemetery is a real hidden gem and well worth visiting. Equally, the Skyline Tour of Croke Park is breathtaking. 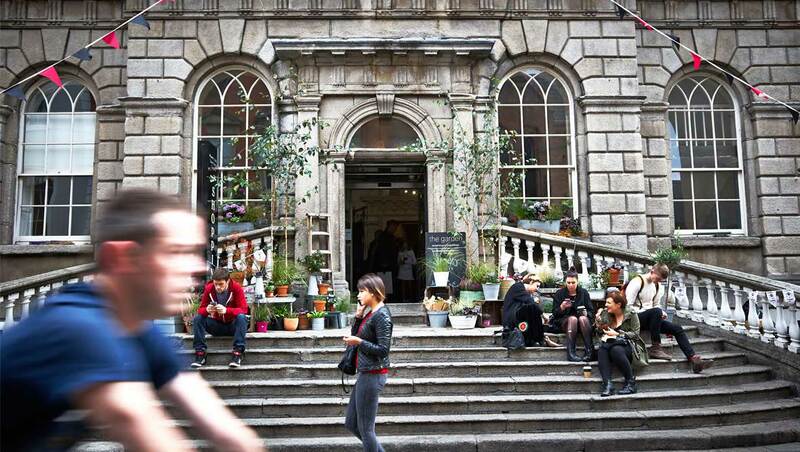 You’ll find everything you need in the Kilkenny Shop and Avoca, both in the centre of Dublin. 8. 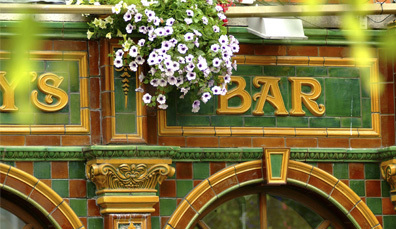 Which old traditional pubs will give me a real sense of Dublin pub life? There is a “Golden Mile” of bars and restaurants on Baggot Street and Merrion Row, which happens to be right on The Merrion’s doorstep. 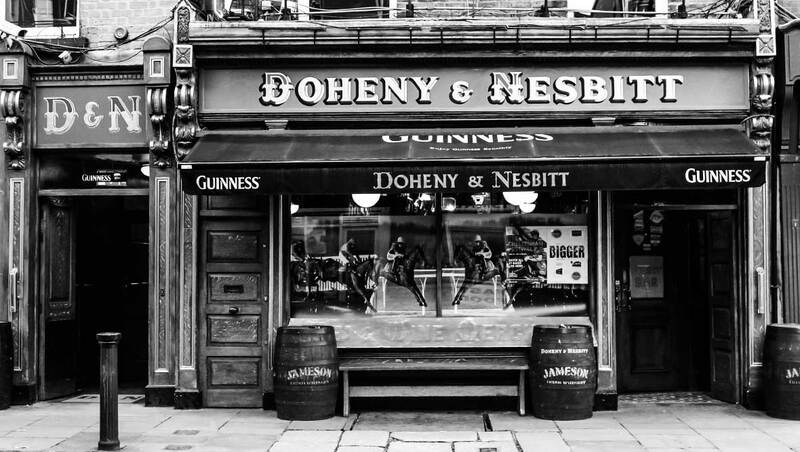 Try O’Donoghue’s and Doheny & Nesbitt for a traditional experience. 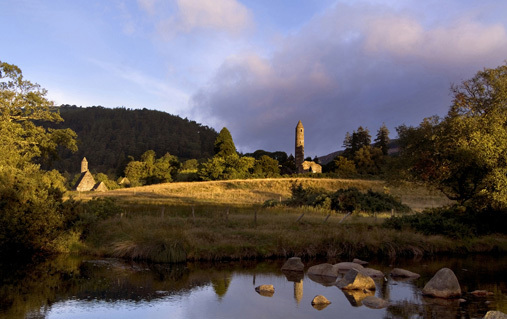 Day trips to County Wicklow – the Garden of Ireland – are very popular with our guests. It's close to Dublin but you really get a sense of Ireland’s beautiful countryside. 10. What is your own very favourite thing about Dublin? It would have to be the people – Dubliners are so warm and friendly with a great “gift of the gab” – they make visitors to the city feel like they are in a home away from home. The Stag's Head, Dame Court: a glorious Victorian pub with a grand mahogany interior. Mulligan's of Poolbeg Street: tucked down a little side road, this pub dates back to 1782. The Palace Bar, Fleet Street: an excellent Irish whiskey selection makes this a fine choice.